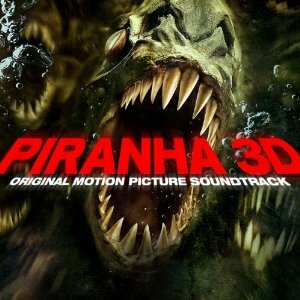 Among all he songs of the soundtrack of Piranha 3D what’s your favorite song? Hey, do you know the music track thats plays when the two girls were dancing on the boat before Jake gets on board the boat . . . And every one was screaming . . . One of the girls were wearing blue . . . Which is the song that begins the wet T-Shirt contest? Whats the song thats played when you are at the menu screen on the dvd? do you know the title of the song playing when those two girls were been filmed as they were swimming?.